Good hand-eye coordination is essential for catching a pass or connecting with the ball when you swing a baseball bat, racquet, or club. Without this crucial ability, it's difficult to excel in sports. Fortunately, vision therapy can help you enhance your hand-eye coordination, which just may help you raise your earned run average or improve your golf or tennis game. Dropped passes and inaccurately thrown balls are obvious signs of an issue with hand-eye coordination. Other signs aren't quite as noticeable but can affect your performance. If you ever struggle to hit certain types of pitches or find it difficult to track the ball as you go to catch it, you may have a hand-eye coordination problem. How Can Vision Therapy Improve Hand-Eye Coordination? Many people who have poor hand-eye condition mistakenly assume that there's nothing they can do about the problem. They may have spent countless hours swinging at golf balls or trying to shag fly balls before coming to this conclusion. Luckily, vision therapy offers an effective way to improve hand-eye coordination no matter what your age. During vision therapy, you'll participate in games and activities designed to help your eyes, brain, and body work together more efficiently and effectively. Your vision therapist may also use prisms, filters, special lenses, balance balls, and other aids during the course of your therapy. Before therapy begins, you'll receive a comprehensive vision examination. The examination doesn't just test visual acuity (your ability to see images clearly) but will also assess other functions essential to good vision, such as eye teaming, tracking, visual memory, spatial awareness, and depth perception. Based on the results of your exam, your vision therapist will design a vision therapy program designed to address your issues. Does Vision Therapy Really Help? Many college and professional sports teams, including the Washington Nationals and Tampa Bay Rays, incorporate vision therapy exercises into their training programs for good reason. Players who participate in the therapy actually improve their accuracy and overall performance. Vision therapy results are supported by research. After the University of California at Riverside baseball team participated in vision therapy sessions during one study, they had fewer strikeouts and more runs batted in. A study published in the Journal of Ophthalmic Vision Research explored the effects of vision therapy on hand-eye coordination in students with visual impairments. Although the therapy had no effect on the ability to see near and far images clearly, it did improve hand-eye coordination significantly. In addition to enhancing your hand-eye coordination, vision therapy can also improve eye tracking and teaming, skills that can help you ensure that you don't lose sight of the ball. Do you have difficulty keeping up with the fast pace of your favorite sport? Vision therapy may help you switch your focus from one part of the field to another quickly and smoothly and enhance your ability to keep track of players on the edges of your vision. 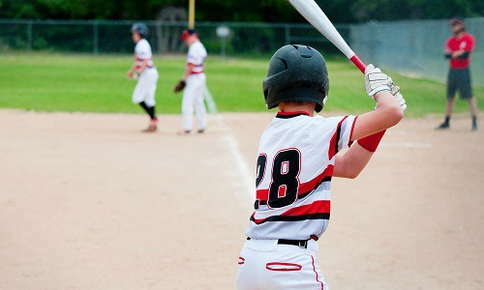 Whether you would like to help your child or teenager refine his or her skills or want to finally realize your full potential on the field or court, vision therapy offers an effective solution for sports performance issues. Contact us to schedule your comprehensive vision examination and take the first step in improving your hand-eye coordination.